The old marble of the Shadhrwan was replaced by new marble that resembles the old. 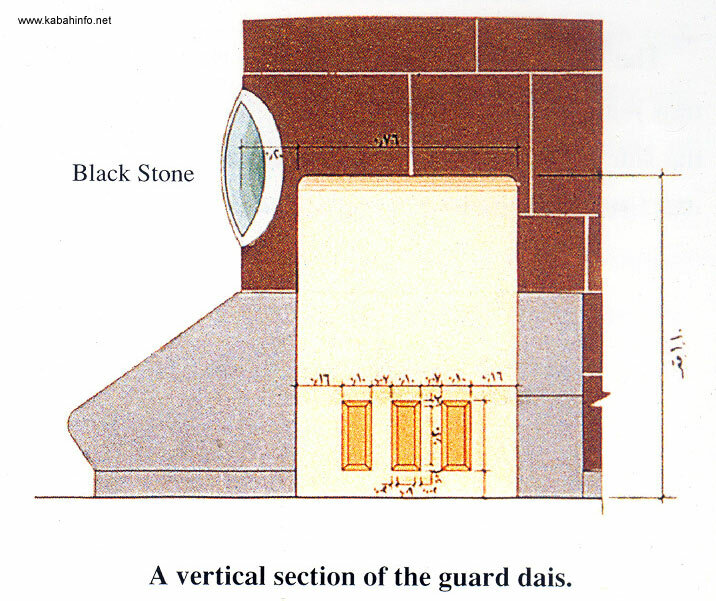 The old marble on the side of the door of the Holy Ka'bah was kept as it was because of its beauty, value and design. The old marble of the walls and floor of Hijir Ismail was removed and replaced with new. The lanterns on the walls were cleaned and restored to their previous positions. A strong and ornamented screen of ropes leading to the entrance of the Hijir was made in harmony with the dignity and glorification of the place. The partition is opened and closed when necessary. This is the dais of the Holy Ka'bah. It has been established next to the Black Stone, with underground air conditioning. A guard stands on it to oversee people kissing the Black Stone. A vertical section of the guard dais. 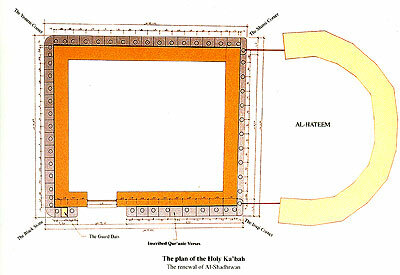 The plan of the Holy Ka'bah. The renewal of Al-Shadhrwan . The re-fixing of the lanterns after finishing the marble work. 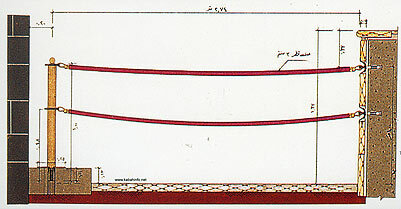 A cross section of the entrance of Hijir Ismail.